In many instances big business no longer serves the best interests of its customers. However, real advantages built up over the years through leveraging historical value propositions, lower costs and higher efficiency, gave big business time to build distribution barriers that have made it difficult for small business to win back market share despite reduced levels of customer satisfaction. By combining some of the traditional elements with the digital elements a small business can build a competitive advantage over a larger business in local markets. Small business operators now have access to technology at affordable costs that level the playing field and allow legacy distribution channels to be completely bypassed while providing equivalent service levels to those offered by big business. High quality products at lower prices drop-shipped directly to customers with one to two day lead times, combined with the capability for seamless online transactions, becomes a compelling value proposition and powerful components for small business marketing strategies. A small business has to leverage information technology in order to successfully level the playing field and compete effectively with big business. 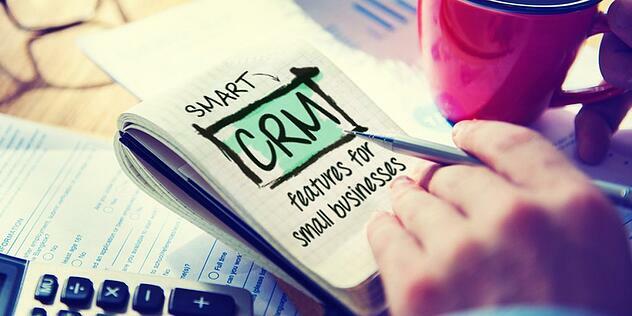 Customer Relationship Management (CRM) is a critical component of the technology platform but it's value is often misunderstood by small business operators. However, for those that understand how to effectively use CRM for small business and for managing the sales pipeline, then the fun part of sales development in the digital era can begin. Although our philosophy is strongly behind the deployment of integrated information technology platforms as the foundation for effectively competing with much larger enterprises, these should not be implemented at the expense of trusted and proven sales development tactics. These trusted and proven methods are relationships, face-to-face relationships. Small business owners must not ignore the power of face-to-face meetings and personal interaction. In establishing and deploying an integrated information technology platform, a small business gets itself on a level playing field alongside larger companies in its field. However, being on a level playing field is not enough and owners need to leverage capabilities that cannot be provided by larger organizations. Decision makers from large companies typically don't meet with anyone except their biggest and most important customers, and their interactions with smaller customers are more commonly handled by call-centers, chat lines, email and other web-based messaging systems. Large organizations don't usually engage one-on-one with anyone except their bigger customers because it's expensive to hire, train and maintain the resources to do so. As a consequence, initial efforts are to divert calls to web based systems like chat or common Q&As at their web portal. In order to get to speak to a representative a customer has to remain determined and patient. Unfortunately, once connected to a live representative, it's increasingly common to find the connection is with an off-shore call center with poor language skills, an incompatible culture and operating from scripts that are ineffective for its frustrated customers. Because of the increasingly evident failure to manage relationships with all but their biggest customers, higher levels of customer dissatisfaction are occurring that can be exploited by smaller organizations. Small businesses have the ability to provide superior and personalized customer service and, when necessary, quick access to ownership and senior management who have a vested interest in satisfactory negotiations and problem solving. When this personal touch is combined with all the service elements (routinely available from larger organizations) and is enabled through deployment of an integrated technology platform, a powerful combination results that leads to competitive advantages over larger, more inflexible organizations. The timing has never been better for small business to fight back and recapture market share from large organizations. Why not download our information technology scorecard to see just where you stand in terms of leveling your playing field.